The 2019 CultureMap Tastemaker Awards happened just hours after the disappointing James Beard Award announcements with no Houston finalists. The timing was fortuitous. At least there were for sure going to be some Houston winners. A sold-out (yet thankfully not over-packed) crowd of guests, chefs, celebrities and media personalities gathered inside the Heights’ massive Silver Street Studios to celebrate the best and brightest chefs, bartenders, restaurants and more. Among the dozens of nominees, 11 winners were selected by a panel of former winners and industry professionals. The ceremony was emceed by none other than Mr. UGK himself, Bun B. Now a de facto mayor and tastemaker in the truest sense, Bun seems to be at every Houston event worth mentioning. Also in attendance, of course, were the evening’s nominees, most of which lined the perimeter of the hanger-like space offering small bites of their tastiest creations. Each of the night’s categories cast a light on different aspects of the city’s hospitality community. From outstanding wine programs to rising stars to best restaurant, all of the night’s winners, along with their fellow nominees, are what make this city’s dining scene the diverse treasure that it truly is. Restaurant of the Year — Nancy’s Hustle: The pride of East End, Nancy’s Hustle is the creative brainchild of owners Sean Jensen and Jason Vaughan (who’s also the executive chef). With this newest accolade, the praise just keeps coming in for this instant classic. This seemingly low-key neighborhood restaurant with a less-than-low-key menu, it was also named by Houston Food Finder, Eater Houston, Texas Monthly and Esquire as one of the best restaurants of 2018. Chef of the Year — Manabu Horiuchi, Kata Robata: A surprise to some who expected one of the city’s many media darlings to take this title, Horiuchi reminds us that most of the Tastemaker awards are voted on by industry experts. Surely no distinction could be more honorable than to be recognized by one’s own peers as the best among them. 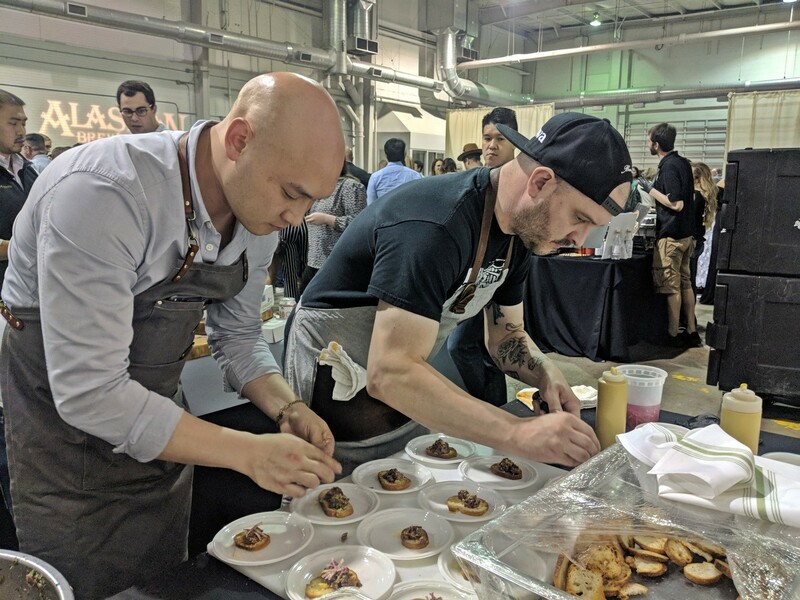 Rising Star Chef of the Year — Ian Levy, Better Luck Tomorrow: If Justin Yu’s right hand man at Better Luck Tomorrow was an industry unknown yesterday, those days are over. The talented and underrated Levy is the magic behind Yu’s highly buzzed about Heights bar, which opened last April. A force to be reckoned with, this distinction is likely not the last you’ll see for Levy and his impressive talents in the kitchen. 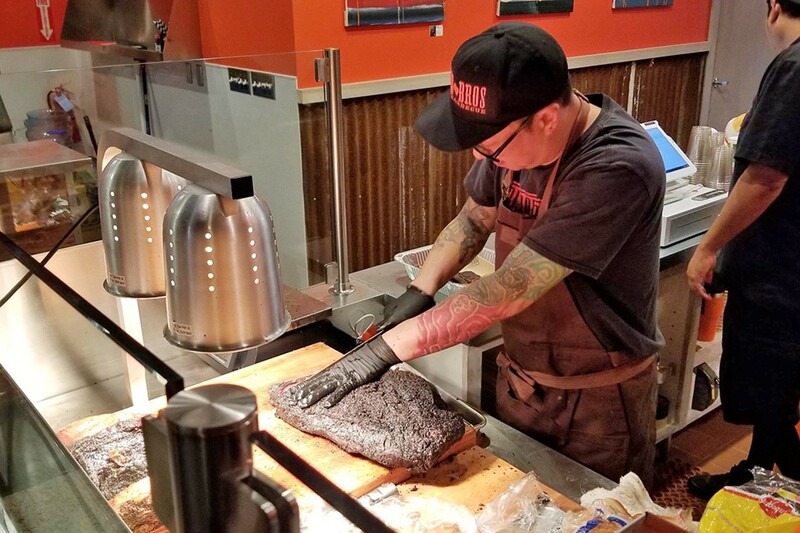 Blood Bros. BBQ pitmaster Quy Hoang slices brisket in the new Blood Bros. BBQ storefront location. Photo by Hank Lewis. Neighborhood Restaurant of the Year — Giacomo’s Cibo e Vino: River Oaks’ cozy neighborhood gem under chef Lynette Hawkins received some long overdue recognition for its menu of inspired Italian comfort food. The pasta lover’s paradise with a dreamy patio and well-lit interior is an understated, inner Loop gem that feels like a day trip to Sicily. Favorite Burger – Bernie’s Burger Bus: Owner Justin Turner is an old-school cook’s cook. With a fine dining background worthy of a top job in any of the city’s best kitchens, Turner is instead building a burger empire. Fresh off the opening of his latest location in Missouri City (which has reportedly been garnering lines of hungry fans for 10 days now), Turner now has a new award for the best burger in the city. Bar of the Year — Anvil Bar & Refuge: Talk about a well deserving veteran of the game. For years, Bobby Heugel’s Montrose cocktail bar has set the standard for craft cocktails and top-tier bar programs in Houston. In an awards ceremony voted on by industry pros, the only surprise is that it didn’t win sooner. 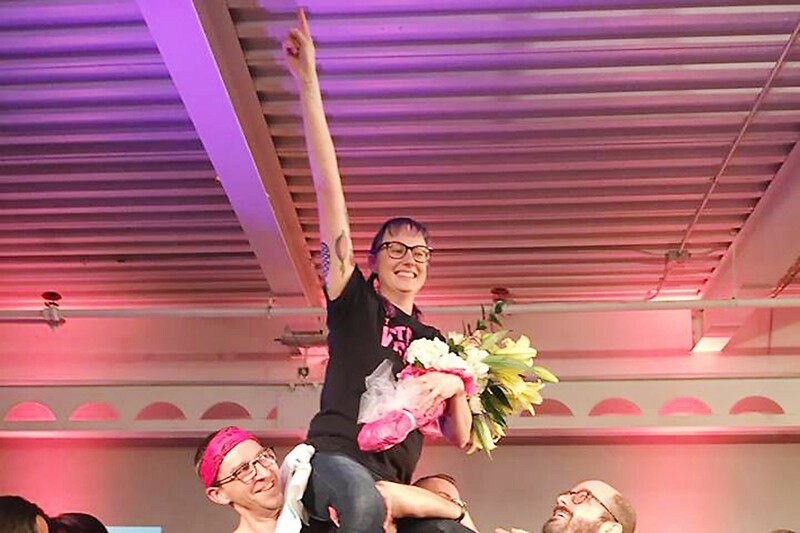 Sarah Troxell, bar manager of Nobie’s, won the 2019 Speed Rack South Central regional competition last night. Photo by Jessica Walters. Bartender of the Year — Sarah Troxell, Nobie’s: A fast-rising star in the world of competitive and craft bartending, Troxell cut her teeth working the line in the Eatsie Boys food truck. After a transition to tending bar, the talented mixologist has made quite the name for herself behind the bars of both Coltivare and Nobie’s. 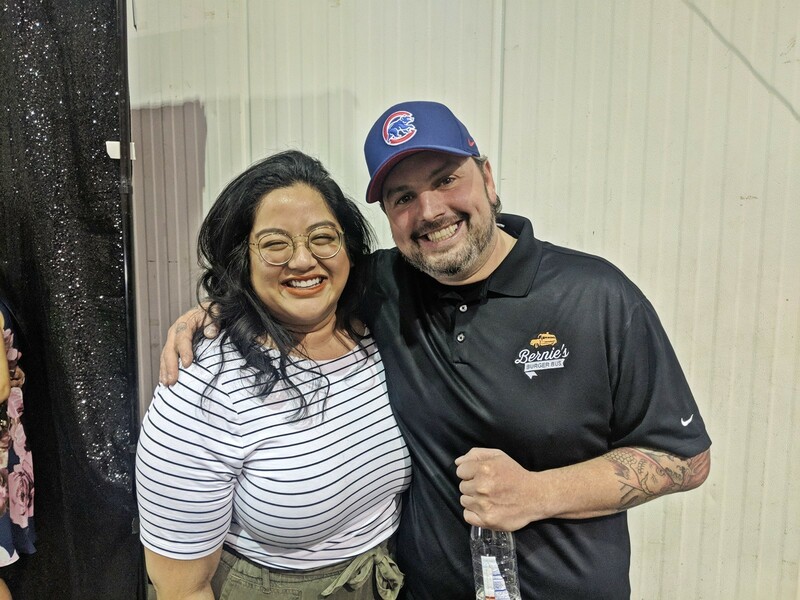 Soon, she’ll be competing in the national-level Speed Rack competition — and between now and then, slingin’ tiki drinks at Nobie’s soon-to-launch sister concept, The Toasted Coconut. Brewery of the Year — Saint Arnold Brewing Company: After more than 25 years in business, Saint Arnold Brewing Company keeps the surprises coming. Whether it’s consistently rolling out good, new beers like the Daydream Saison or opening a massive beer garden and restaurant across the street from the brewery, Houston’s oldest craft brewer keeps the hits coming and the accolades rolling in. Wine Program of the Year — Coltivare: Often recognized for some of Houston’s best pizza and pasta, the beautifully rustic kitchen and garden in the Heights also has one of the best wine programs in the state. That’s largely thanks to sommelier and general manager Leonora Varvoutis. Her selection of old world vintages includes something for every palate and level of expertise. People always ask me what my favorite brewery in the city is and though it’s gotten more difficult, I still always say Saint Arnold. It’s great to see them get the win. I *still* haven’t made it to the beer garden yet. I need to remedy that.